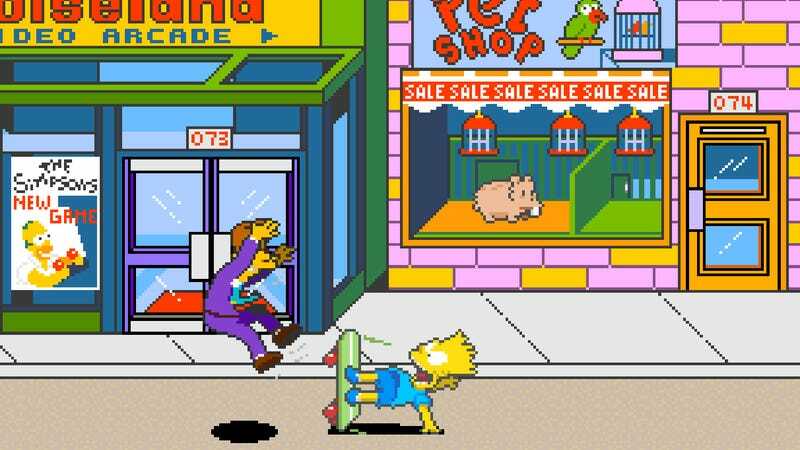 Konami’s much-loved Simpsons arcade game was briefly re-released on Xbox 360 and PlayStation 3, but has since been taken down. The only way to experience it, besides buying the arcade machine, is via an emulator. For going on two decades now, it’s been trivially easy to go online and, within a few minutes, be playing the classic video games of yesteryear on your PC. That this occurs without the consent of the copyright holder seems to not matter at all to the millions—billions, probably—of people who have at one point or another touched an emulator. Publishers see emulators as enabling unfettered piracy. Players see them as a solution to the problem of scarcity. This divide will likely never be truly crossed, as neither of these arguments has a monopoly on truth. What is certainly true is this: Though it may not have been the goal of those who initially started coding emulators and dumping ROMs, emulation is absolutely vital to the preservation of gaming history. And by that I don’t just mean making sure that a copy of every game exists somewhere on a dusty library shelf, but that the history of games is something that everyone can experience, play, and learn from. At the heart of the debate are not emulators per se (which a federal court has ruled are legal), but “ROMs,” the term for the software that they play. ROM stands for “read-only memory,” the type of computer chip on which early video game data was stored. When early hackers started to pull the data off of these chips and save them as files on personal computers, they called the files “ROMs.” Emulators grew up with the Internet in the 1990s: as more and more households got online, they discovered a wonderland of gaming delights, all there for the taking. It’s easy to take the position that nothing should ever be copied without the explicit permission of the copyright holder. But a world without ROMs would be a bleak one indeed, especially considering the nature of video games as a medium—and what happens to them once their shelf life, or that of the hardware they play on, has expired. Copyright law has a lot to do with this. Librarians call it “the 20th century black hole.” You can log on to the Internet and find creative works spanning almost the whole of human history. According to the internet, though, people by and large stopped creating things in the early 1900s, and only started back up again around the year 2000. What happened? Copyright—or, more clearly, our modern version of copyright, an exaggerated, metastasized version that’s now doing a great deal of harm to history. I have no problem with American copyright law. Of 1790, that is. The Constitution authorized Congress to “promote the Progress of Science and useful Arts, by securing for limited Times to Authors and Inventors the exclusive Right to their respective Writings and Discoveries,” and the first stab at it set the term of copyright at 14 years. If the author was still alive after that, they could get another 14-year term. You and I both know that for a variety of reasons we don’t want to go back to the 1790 version of American law, but in this case I’m going to risk saying that they had it right the first time. Copyright was supposed to balance the benefits to the creator and the public. But what’s happened since then has been the virtual death of “public domain” through slow copyright creep. 28 years became 42, then 56, then “life of the author plus 50 years,” then “life of the author plus 70 years.” If the work was “authored” by a corporation, US law currently protects it for 95 years. It’s a situation that the Internet Archive’s Jason Scott says is tantamount to “perpetual copyright.” It is not good law. Taito’s Little Samson, one of the most technically impressive NES games ever released, has never been re-released. Your only options are to pay $1000 for the very rare cartridge, or emulate it. Music, books, and films from the year 1923 were set to become public domain in 1999, but now only in 2019 will copyrights finally start expiring again. That means we’ll be able to freely copy every movie made in 1923, right? Well, theoretically, yes, but actually no, because tons of them are gone. Turns out that in many or most cases, the actual work itself, the physical copies of it, don’t survive all 95 years. Films disintegrate. Books are pulped—if not burned. And old electronics fail. Video games likely won’t suffer a similar fate as films, but that’s only thanks to the efforts of hobbyists, archivists, programmers, and historians operating outside the boundaries of what they’re strictly allowed to do. This is especially true when we’re talking about games that only exist as a single prototype copy, or were produced in such low numbers that they are particularly susceptible to simply being lost forever. There’s no telling what sort of an effect the proliferation of ROMs has had on the popularity of video games. A Vice story last week showed how easy access to these creations opened up the world of games to billions of people. Outwardly, Nintendo maintains a hardline stance against unauthorized emulation, but as my friend Frank Cifaldi, the game industry’s most prominent advocate for historical preservation, noted in that piece, Nintendo’s official re-releases of classic games use emulator tech that builds on the work of the hobbyists that came before. The very first version of Super Mario Bros. 3 sold in the U.S. had some differences from later versions, including this spelling error. But you wouldn’t know that if you were limited to the officially re-released versions of the game. Let’s forget about Nintendo, whose library comprises but a tiny fraction of all the old games that need to be preserved. Nintendo, at least, keeps a lot of its own stuff in print. But so many games today are in what might be called “copyright limbo.” Perhaps the publisher shut down, leaving the question of who owns the copyright up in the air. Perhaps the game uses licensed characters or music, meaning that it could not be published again without multiple rights holders working out a new contract. Sometimes, as Cifaldi points out, when a game like this is released again, the rights holder has to source the actual data from (wait for it) ROMs on the internet, because all the originals were thrown into a Dumpster when the company moved offices 20 years ago. Games like this are, by and large, simply never going to be released again. It’s important to consider that in many cases, this might not only be bad for history, but also against the desires of the people who created the games. I don’t make games, but I do write books. Recently, I was able to get the rights back to a book I wrote in 2004 so that it could be republished. If I wasn’t able to get the rights back, and if the rights holders didn’t get back to me or put the book back in print, I wouldn’t be upset at all if someone had to “pirate” it to read it. I was thinking about this a few years ago at, of all places, a Fleetwood Mac concert. They were touring in support of a new EP that contained a “new” song that was actually originally recorded as a demo tape in the early 1970s. Stevie Nicks rediscovered the song, she said, on YouTube. How mad do you think Nicks is at the “bootleggers” who, for the interim four decades, copied and kept and shared these rare demo tapes without her permission? If you’ll indulge me again as I talk about a book I wrote: When I was researching my book Final Fantasy V in 2016, I spoke with the game’s director Hironobu Sakaguchi, who is no longer an employee of Final Fantasy’s publisher and copyright owner Square Enix. As we spoke about the history of this game I loved, I brought up the fact that its story in America begins not with an official release but with a ROM, and fans who translated that ROM into English. The ROM question is not one on which a clear moral line can be drawn. On the one side of the equation you have out-and-out piracy: A new game comes out, and someone immediately makes a bunch of unauthorized copies of it and sells them on Amazon. You’d find very few people willing to defend that position. On the other end, if the last remaining copy of a game developed in 1983 is saved and appears on the Internet Archive, you’re going to find very few people who take serious umbrage with that. Between those two extrema lies a whole spectrum of different situations, and everybody has their own opinion on where the line between right and wrong should lie. The good thing for history is that the status quo is unlikely to change at this point, and games will still be there for those who wish to experience them. 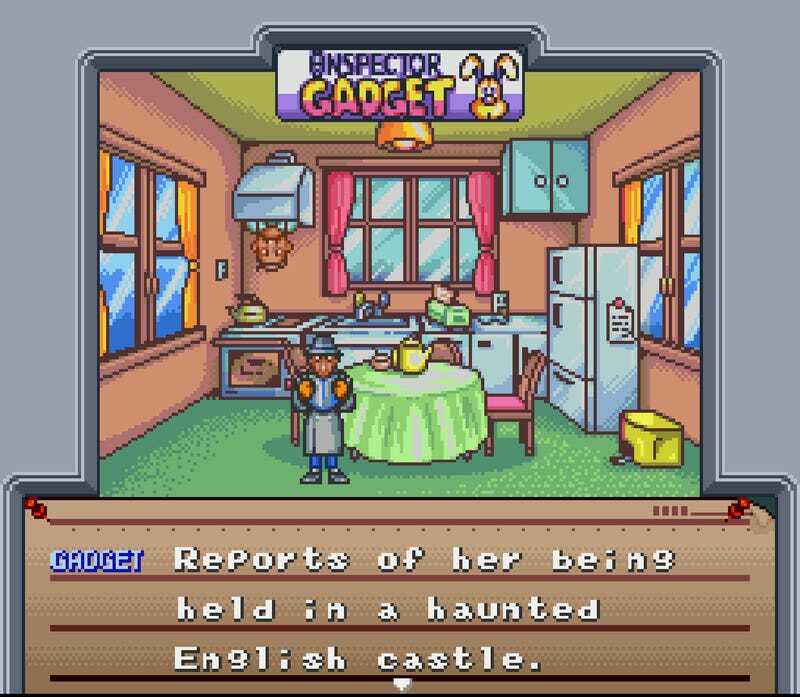 Who’s going to keep Hudson’s Super Nintendo game based on Inspector Gadget in print and available? It’s likely that this game, and thousands more like it, will have to live on as a bootleg until it enters the public domain in the year 2088. If publishers want to get those people buying official versions of the games, they might catch more flies with honey, as Frank Cifaldi pointed out in his original Twitter response to the situation. “When’s the last time you downloaded an MP3?” he wrote. At the same time as the game industry was facing the rise of emulation, the music industry was staring down a similar problem, the easily-distributed MP3. Today, the music industry has come up with better, legal, revenue-generating ways of distributing music that have made MP3s much less of a problem. “I don’t download MP3s because I’m not passionate enough about music to need much more than Spotify and YouTube,” Cifaldi wrote. The success of devices like the NES Classic is in large part because they represent a copyright holder putting its older games into a package that’s more palatable ($60 for a standalone box filled with 30 games) than the legal alternative (buy a $300 console, connect it to the Internet, and pay $5-10 per download). If game publishers could continue to pursue consumers where they are, rather than where they’d like them to be, we could get to a point where complaining about ROMs sounds as quaint as complaining about Napster.